The DW849 polisher I have used in my shop forabout 5 years now was one of the best polishers available at thetime. If you had heavy polishing work to do, the DW849 was yourbest buy. DeWalt has since upgraded this model to address a fewdesign flaws. The DW849 spawned a line of excellent yellow cladpolishers. Let's take a look at what made the DW849 such a goodpolisher. Polishers are used to rapidly polish a surface. Polishers are simple devices. An electric motor spins a buffing disc at high speed. A good motor combined with good ergonomics makes for a good polisher. While sanding heads are available for polishers, the tools make for bad sanders. Since there is no orbital motion, a polisher will leave concentric sratches when used in one spot for too long. 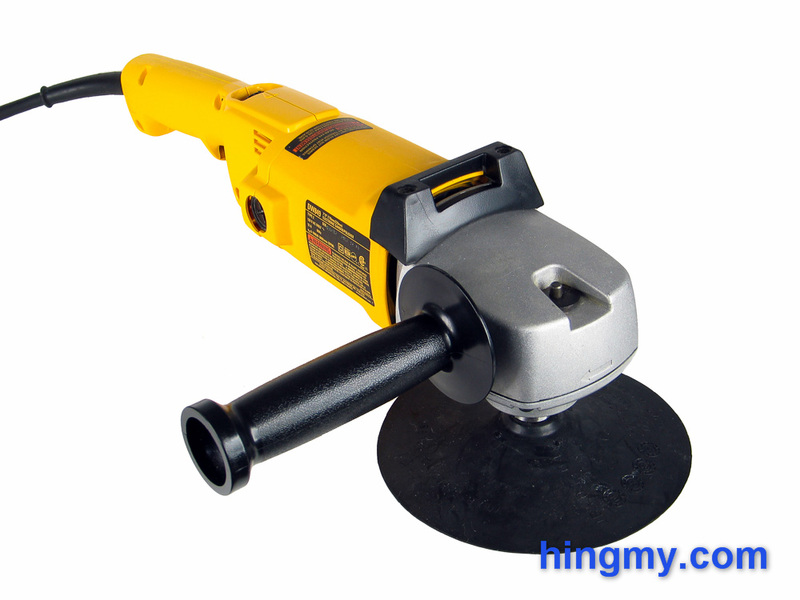 "A great, durable, and very powerful polisher. This is the right tool for large jobs. It is too large and loud for small tasks. The DW849 will last for years."